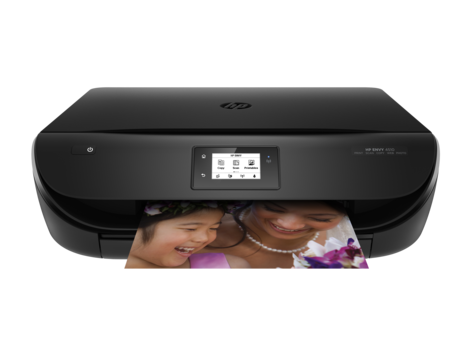 The HP Envy 4511 is an all-in-one printer, tailored for easy printing from smartphones, tablets, laptops and desktop PCs. The 2.2-inch display makes it easy to print, scan and copy and these tasks can even be completed on the go, using the HP All-in-One mobile app, which is free. It features ISO speeds of up to 6 pages per minute colour and 9 pages per minute black. The printer also has a few useful extras, such as the ability to print borderless photos, and on both sides of paper to save on ink. The HP Envy 4511 is compact and sturdy, measuring 48 x 44.2 x 11.8cm it weighs just under 6kg. It has a matte black finish, curved front end and digital display for quick access to buttons and functions. The 4511 has a monthly duty cycle of up to 1,000 pages and supports plain, photo and brochure paper. It is also Energy Star certified and includes an optional quiet mode to prevent noise disruptions. The 4511 can be connected and installed on numerous desktop operating systems, including Windows Vista, 7, 8 and 10, plus Mac OS X 10.8 and above. The HP Envy is capable of reducing and enlarging copy from 25 to 400% for up to 20 copies and has an optical scan resolution of 1200 dpi, in addition to its impressive print speeds. It features wireless for print and sharing from PCs and mobile devices, and can tackle borderless photos, two-sided printing and irregularly sized originals. Other pros include the availability of XL cartridges and an excellent draft print quality. Print speed may be slower than an office grade printer and any use of tri-colour cartridges can lead to waste. There may also be problems with photo images and high page costs as the printer uses ink rather quickly.